In 2002, actress Betty White said: "I am a great Ken Berry booster. He is one of the most versatile, and personable talents I have known". We got Ken Berry trivia! 1. Who urged Ken Berry, a soldier in the Korean War at the time, to audition for television once the war was over? 2. 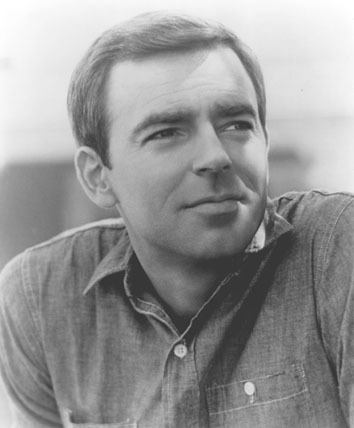 From 1958 to 1964, Ken Berry was a player with the Billy Barnes Revues. What TV star, upon seeing the revue, offered Ken $50 a week to work for her? 3. From 1965 to 1967, Ken Berry starred in a wacky western sitcom called "F-Troop." What character did Ken play? 4. From 1968 to 1971, Ken Berry starred in "Mayberry RFD" as a widower farmer. What was his character's name? 5. In 1972, Ken Berry co-starred in the CBS special, "Once Upon a Mattress." Who was his co-star? 6. Ken Berry was a frequent guest star on what 1970s variety show? 7. Ken Berry's longest-running television role was as Vinton Harper on what 1980s TV sitcom? 8. In 1993 Ken Berry starred with Carol Burnett in the stage production of what? 9. In which of the following movies did Ken Berry NOT appear? 10. During the late 1970s and early 1980s, Ken Berry sang and danced as a spokesman in commercials for what American shoe company?